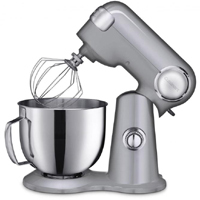 You have a chance to get your hands on a free Cuisinart Precision Stand mixer. Just follow our link and fill up the short entry form and you will be entered in the contest. Click GET FREEBIE button and then submit your entry for a chance to win this kitchen gadget.